As previously mentioned in the v3.55 Playtesting Update, we will be enforcing a Ban List for Rated Multiplayer matches in v3.60. Please note that Unrated, Campaign and Meltdown will be unaffected. 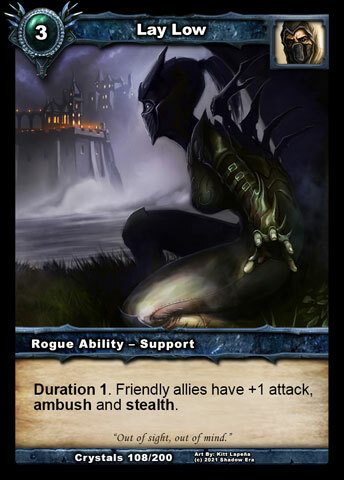 - It is the shared belief of the Shadow Era Design Team that having these five cards in the game does more harm than good. - All five of these cards have been specifically mentioned in complaints about "stall decks" and "negative playing experiences" for the past seven years, with a marked increase over the past year. 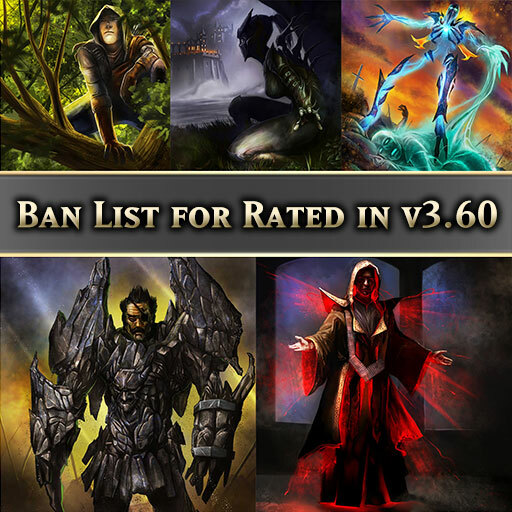 - Implementing a trial Ban List for v3.60 is a very very low cost way to both test our hypothesis that the game will be better without these cards and also attempt to improve the environment in response to the player complaints. WHY NOT INCLUDE OTHER CARDS? We know other cards have been suggested to be banned (e.g. Rain Delay ), but we can currently see enough redeeming qualities in them that make them worth keeping. These five cards (Into the Forest , Lay Low , Soul Reaper , Armor of Ages and Crescendo ), on the other hand, would never be designed and added into the game today because they enable and promote a type of playing style that the vast majority of people dislike facing, which really is not great for player retainment! After we have had time to witness the impact of the Ban List, we will be able to make a much more informed decision from the options available to us. - Keep that card on the Ban List permanently and compensate any players with that card for the playability restriction we have imposed. - Design a new card based on the redeeming features of the original, which can be given free to any players owning the banned card. - Remove that card from the Ban List and admit actually it does have a place in the game. - Errata the card in an attempt to make it not so harmful. These are listed in order of likelihood based on what we know today, but they are all potential options to consider for each of these cards (and any others that raise their ugly heads in the future). We understand some people will not be happy about this move, even if it may only be temporary to gather information, so feel free to air your grievances below! Similarly, please post any questions you have ... or even positive feedback about this. Good explanation. How long will the test period be? And will these cards be automatically withheld from rated? After the April season we will evaluate the impact of the bans on the game. Cards are automatically withheld from rated. If anyone tries to play a deck with banned cards in rated they will be prevented from starting ranked game and instead get notification to remove banned cards from their deck. If your going to ban cards at least ban cards from every faction. I don't see any Priest cards on the ban list. I was going to say Tidal Wave but if you do Tidal Wave you have to do Supernova. 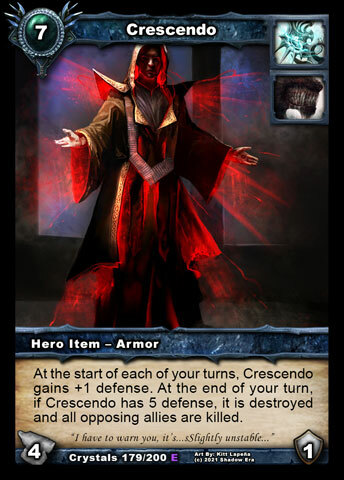 How about a card that I see a lot either Zail's Hymn or Forgiveness or even Embers but I know a lot of players would gripe at that option IMO. An option after determining if card does actually improve game play. I would suggest that maybe all cards in question have a Lose one Resource when played. Maybe that will deter people from using these cards. Have some type of stipulation on playing these cards. 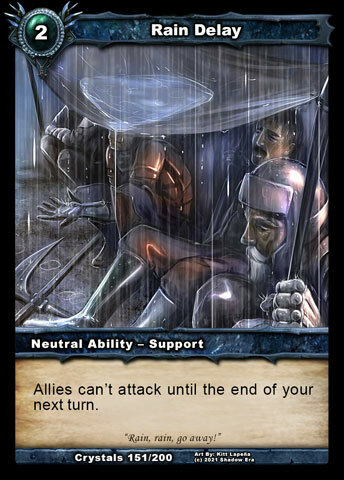 Another Idea would be how about card is permanently exiled after use and cannot be returned by any exile ability. Forgiveness... I would like to hear why you think this should be banned. Tidal Wave I can see tbh. It is a 5 cost total board reset. It is a nasty card that much is sure. That is the main difference I suppose from the ideas you have. My reasoning for forgiveness is that many players sac Tidal wave first as the first resource when they start their hand with both forgiveness and Tidal Wave. Then either they wait til turn 4 and use forgiveness and bring back tidal wave and wipe the board clear on turn 5, or they use Darklight Timelord on turn 6 (or turn 5 when Garina Road location is in play). 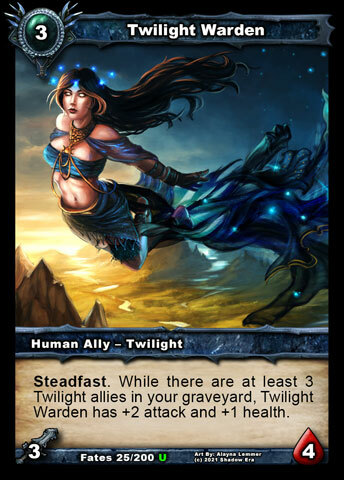 In a typical 40 card deck, that's (4x tidal + 4x Forgiveness + 4x Darklight Timelord + 4x Garina Road = 16 Total cards.) So now you start game with 32 cards (32 - those 16 cards = 16 cards left; by the time priest is at turn 5, he has already sac'd 5 cards, so that makes it now 1 in 11 chance to get tidal wave). What is the likelihood that a combo of any of those 4 cards is ready for priest on turn 5? Its a pretty high percentage of a chance that the priest will be alive and ready to use tidal wave on turn 5. I think by banning forgiveness the chances that tidal wave will be available by turn 5 decreases immensely. Holy Shield is pretty much the same as into the forest, so maybe this card is the simplest card to put on banned list. On yeah, Instead of Forgiveness how about that dreaded Glass Chalice of Knowing artifact. If your going to ban cards at least ban cards from every faction. We're only banning the minimum number of cards that we need to. Trying to "make it fair" by taking away cards from each class to "even it up" would almost certainly be harmful! I as a veteran in the game am defo not happy with this banning of cards that have been around for years. If this will continue to stand I will end up not playing this game any more and hope others follow suit. About time I would say. I'm hoping this is definitely temporary. So because 5 measly cards are being tested for getting banned you want to quit the game? lol. Also, you do realize that most other major TCG/CCGs have some sort of ban list right? MTG and YGO have ban lists, hell HS rotates ENTIRE SETS out of the game. Think of that, an entire set of cards that you've become used to, just gone. This is just 5 cards. Just the other day on Gondorian's stream of one of the 3.60 pre-release events we had a guy in chat who played HS and was going to leave it because of that whole set rotation thing. The fact that SE has gotten this far without any sort of ban list is pretty rare I'd say. SE has always tried to keep itself as a balanced game above all, and the DT clearly feels these cards might be hampering that balance, that being said, this is obviously something I feel they'd rather not do if possible, hence the temporary test period for the list. But if you're the type of player who only ever plays one deck type and that deck got hit, clearly the best option is not to try and adapt, but to just rage and throw in the towel. If anyone wants to play Lay low Lance, ITF Gwen or towermill Prax he can find a willing victim and play a custom-no reason to molest innocent players in qm. Yea I guess it is because it will affect the type of games I like to play. I have all sorts of decks but I do enjoy late game decks which involve more of an intellectual type of gaming like chess. I can see its not everyones cup of tea but banning cards that I use has hit a nerve with me. I hate rush decks, I want all haste cards banned but I know that ain't gonna happen any time soon. Its just going to be a case of either I try to adapt to the changes or not. Ok maybe wrong choice of words there. However, I was thinking all these cards can be countered by existing cards and I still can not see how they are so detrimental to the gameplay. 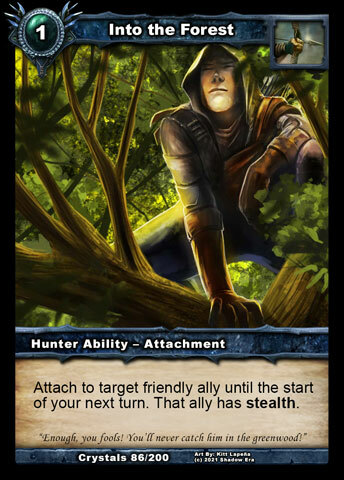 - Into the forest is only a one turn card that can only be reused by Victor and even then there are much better hunter cards to call back. 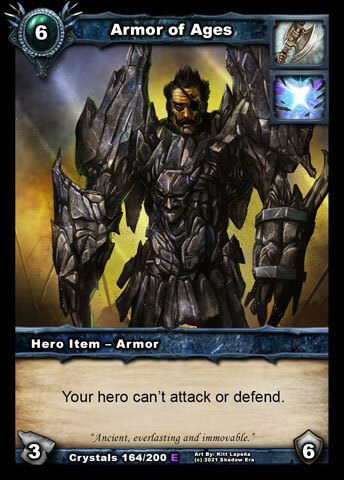 - Lay low is a bit annoying with Lance but there support destruction cards for that reason. If anything we should lower the cost of support destruction cards. 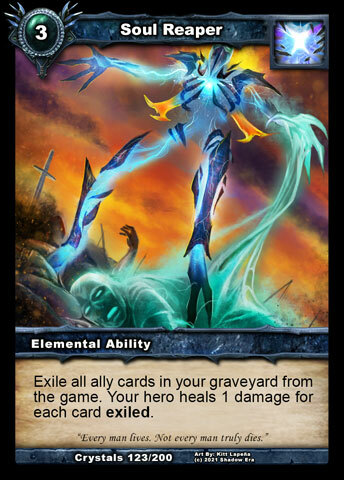 - Soul reaper is probably the most annoying but again can be countered by cards that remove allies from the graveyard. Maybe focus on this more with new cards. - Armor of ages and Crescendo both of which are armours that can easily be destroyed by all factions. I will agree with ban list if we have some prof for it But we have ban only because part of se comunity said this cards are annoying. And also comparing mtg/yu gi oh ban list or hs rotation with this its not same.We have less carda, slower development and more nerf s.
Lay low situation is a bit better since the sosilo nerf but you usually have very few cards to kill support abilities-again very small chance of drawing one. Im fairly certain these changes will help bring us closer to "I would rather a game of infinite combinations rather than one of a fairly predictable outcome..." because the cards that are banned never contributed to anything other than stall/npe playstyle. Millprax, itf gwen and LLL were the definition of "predictable outcome"
I will agree with ban list if we have some prof for it But we have ban only because part of se comunity said this cards are annoying. Either you didn't read what I wrote at the start of this thread or you don't believe it. Either way, that's a bit sad. Lol i read a quete " mentioned in compleints"? So 1 staple card in one deck and 4 cards that are played ib 0.001 decks gives a such a great npe expirience the we need ban them.